Hi, I’m Andy Lemaire. 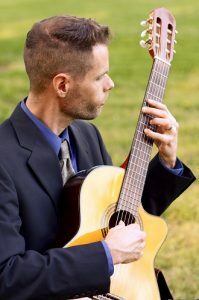 I’m a professional classical and jazz guitarist who has been active in the Greensboro and Winston Salem, North Carolina, area for 10 years. I originally moved to Greensboro to attend the UNCG School of Music, where I was a student in their Miles Davis Jazz Studies program. 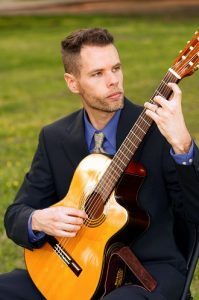 During this time I studied jazz and classical guitar with Mark Mazzatenta. I played in the UNCG Jazz Band, had solo classical recitals, and played in small jazz groups. Before attending UNCG, I went to Appalachian State University. There, I played in the ASU Guitar Ensemble and performed frequently on the local music scene in a handful of bands.